Ryu Dam leaves memories of "Lights and Shadows"
Actor Ryu Dam was caught on camera leaving himself on camera. MBC TV drama "Lights and Shadows" revealed pictures of Ryoo taking pictures with fellow actors and actresses on the 29th. 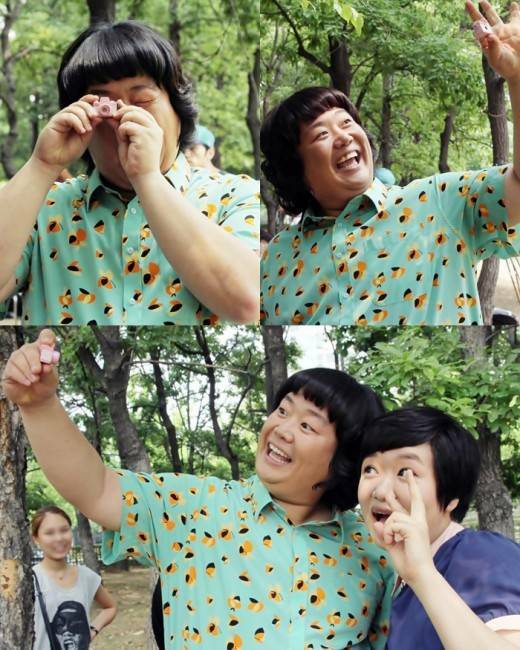 Ryoo is smiling brightly and is full of joy in the pictures, holding up a miniature camera along with Ha Jae-sook playing the role of Lee Kyeong-sook. Ryoo is starring in "Lights and Shadows" as Yang Dong-chul, Kang Ki-tae's (Ahn Jae-wook) right hand man and supporter. Ryoo is said to always be pleasurable like the comedian that he is and has performed the role Yang Dong-cheol excellently". "Ryu Dam leaves memories of "Lights and Shadows""
Yoon Jin-seo "is not to die yet"